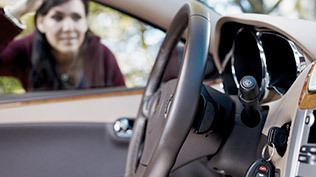 Lock your keys in your vehicle Aurora, Oswego, Montgomery, IL, or any nearby suburbs? Are you looking for someone to unlock your car? 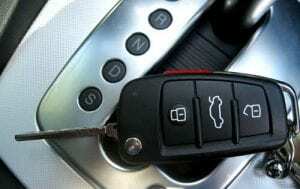 Trying to find a vehicle lockout service that you can trust plus afford? Don’t worry we have your unlock lockout needs covered throughout the local area plus beyond 24-7, we’re always here for you. • Lock your keys in your vehicle? • Did you lock your keys in your trunk? You lock it, we’ll unlock it, A-Z. If you locked your keys in your car, van, SUV, truck, rest assured Tow Recover Assist is the Aurora, Oswego, Montgomery area’s fastest lockout service. We’re here to help unlock your vehicle quickly & affordably. So quick & affordable that we even guarantee it. Don’t fall for the 15, 19, 65 dollar service fee just to show up scams to only pay 2-10 times that price after all the taxes, taxes, and more scammy taxes. Locked out of a car? Is your car door locked but your keys are laying on your seat? Did you lock your keys in your trunk? Emergency or not we are the un-contended heavyweight champion Aurora, Oswego, Montgomery & all nearby suburbs auto lockout car unlock service. Call (630)200-2731 now, later, 24-7, for immediate dispatch. Lock your keys in your vehicle downtown Aurora or Oswego? Locked out of your car at Aurora’s Fox Valley Mall or Aurora’s Chicago Premium Outlet Mall? Are you in need of an auto lockout service at the Hollywood Casino or over at the ‎Phillips Park Zoo? Need some help unlocking your car at Aurora University or Waubonsee Community College? From the East side to the West side to downtown Aurora, we have your vehicle lockout needs covered day or night, rain or shine, sleet or snow, call team Tow Recover Assist 24-7. Best auto lockout service Aurora, Oswego, Montgomery! Check out our Aurora, Oswego, Montgomery, auto lockout commercial! Are you in need of a vehicle lockout service Aurora, Oswego, Montgomery, IL, or any nearby suburbs but your having problems finding a company that you can trust & afford? Have you been a victim of a vehicle lockout service scam and don’t know who to trust? Are you thinking to yourself how do I prevent a vehicle lockout service scam? How to prevent a vehicle lockout service scam! Before contacting any company for a lockout service and or a lockout service price check, checkout their website for a legitimate aka real address. After that double check it else where to make sure of the address. Can’t find an address (a real address)? What and who are they hiding from? Then give them a call, ask for a price, ask where is your company located (again, verifying the address). Can’t find an address, something sound fishy, call someone else! We’re here for you. Did you check out our BBB A+ rating? Did you know that we’ve been serving the Aurora, Oswego, Montgomery, IL, area & beyond since 1995? The most important thing that you must do when shopping around regardless if you use our company is to always ask what is the gas, service, mileage, tax included, out the door, grand total. If you don’t ask companies do not tell you these days unfortunately. Don’t find out the hard way and fall for the flat-rate, $15, 20, 65 service call, starting off at $30, will have to look at it to determine what tools are needed scam pricing. If they beat around the bush and or can’t give you a grand total, it’s a scam. Any legit vehicle lockout service will include a tax grand total price give a take a couple dollars for gas depending on your location. If they can’t give you a grand, gas, service, mileage, tax included total, call someone else like team Tow Recover Assist. Have you locked your keys in your car and are wondering if you can unlock it yourself? Do you want to know the right way to unlock a car in Aurora, Oswego, Montgomery, IL, plus all surrounding West suburbs? Call team Tow Recover Assist now! Are you looking for a top notch quality car, van, SUV, auto, truck, vehicle lockout service you can trust plus afford in, near, or around Aurora, Oswego, Montgomery, IL, or any nearby suburbs? Count on our team 24 hours a day, 365 days a year. Our technicians are fully insured and provide the fastest and most reliable service at the most affordable prices, so affordable that we even offer a low cost guarantee. Call now, later, 24-7!